Ask just about anyone to name a few people they consider leaders and most likely you net an elected government official on that list. Mayors, council members, state representatives, national representatives should aim to focus on precisely what they were elected to do – set policy agendas and initiate a vision for the community in which they serve. Professional government employees are vital partners for these officials and do [or should do] the day-to-day operations of the government, procure products and services, supervise, develop budgets for programs and execute tactics outlined in strategy put forth in part by our elected officials. It’s through the strategy and policy produced by elected officials, that administrative professionals translate, create context for, and craft these campaign promises into actual deliverable results to the publics and constituencies. 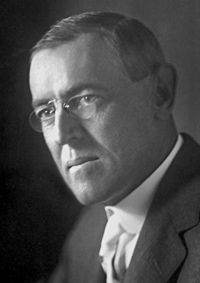 Woodrow Wilson’s essay entitled “The Study of Administration” (1887) detailed the study of administration and has been viewed as the beginning of public administration as a field of study. He sought to investigate organization and the methods governments use to successfully accomplish its tasks with the most efficiency at the least possible cost. He wrote “that in a sound public-serving structure, administrative decisions must be without the influence of politics” and suggested the existence of main difference between politics and administration. It was this difference that became known as the politics-administration dichotomy. Politics being the expression of the will of the state and administration being the execution of that will. In this regard, professional public administrators and staff are vital partners for elected officials in just about every capacity from PTO to President of the United States. This dichotomy and more importantly what tasks fall into which category of the dichotomy, has created a complex history of competing interpretations of the politics – administration dichotomy, noting that as, originally framed, it was intended to detach partisan politics and patronage from sound public management. American political scientist, Dwight D. Waldo, concerned himself with the later, more expansive conception of the dichotomy, which included the process of policy making (Rosenbloom, 2008). He stated “nothing is more central in thinking about public administration than the nature and interrelations of politics and administration” (Waldo, 1987, p. 91). This concept while widely dismissed by today’s scholars of public administration (Campbell and Peters, 1998; Levy, 2009) as if a true unadulterated distinction could honestly, actually, occur is commonly a constant and growing public debate particularly in developing countries. In 2012, Patrick Overeem wrote a forensic investigation [a la CSI-style] book hinting to a comeback in the making, particularly in the United States. In this matter, key leadership skills should be investigated as commonly, in elected government, balance of power is distributed amongst elected officials in seats of power on committees where they may or may not have any actual, worthwhile or relevant skill-set in an attempt to tip the structure of party-line power. As scholars of public administration recognize that the politics-administration dichotomy does not work in practice, we increasingly see a proliferation of theories about the role of the public administrator in American government. Some are prescriptive, while others more descriptive, but all begin with the premise that the politics-administration dichotomy proved a faulty foundation for the field of study (Levy, 2009) Appointed by the governing body, managers are [supposed to be] nonpartisan and apolitical public servants who bring experience, sound financial stewardship, and proven management practices to every decision made within a community. Still, as Demir and Reddick (2012) report, shared roles allow elected officials to develop innovative approaches to community challenges and align a local government’s administrative systems with the values, mission, and policy goals defined by the community and the elected officials. Managers are trained to deliver services ethically, effectively, and efficiently-isn’t it high time that our elected political leaders are held to similar standards of administration and leadership? Overeem, Patrick (2012). The Politics-Administration Dichotomy: Toward a Constitutional Perspective. Boca Raton, FL: Taylor & Francis Group, LLC.